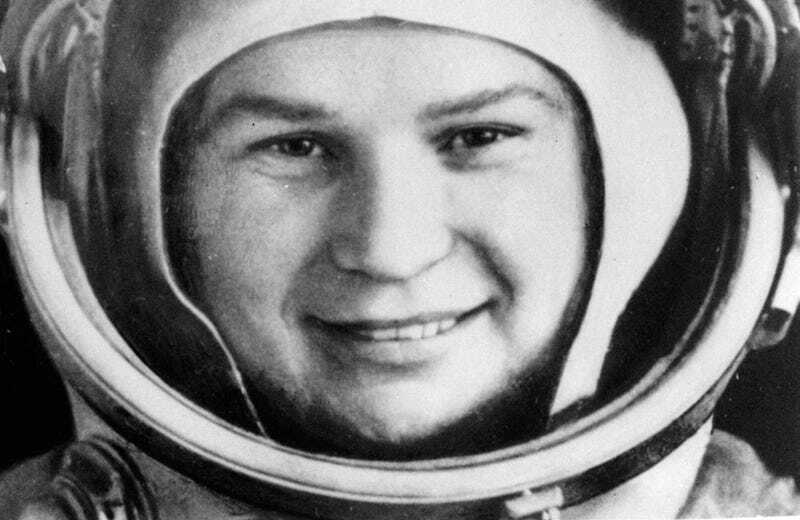 26 year old Valentina Tereshkova became the first woman in space when Vostok-6 launched on 16 June 1963. Tereshkova is the second youngest person (and the youngest woman) to ever fly in space and the only woman to have flown in space alone. When she was selected for cosmonaut training she was a textile plant worker who was also an avid parachute jumper in her free time. This was a critical skill since the Vostok capsules could not safely land. The pilots had to eject at 7000 meters (~23000 feet) altitude and use parachutes to land. Was the flight just a propaganda move so the Soviets could claim another first in space? Well, the next woman in space, also a Russian, wasn't sent until 1982 so decide for yourself. Since her flight Tereshkova has been active in politics both before and after the collapse of the Soviet Union. Currently she is a member of the lower house of the Russian legislature.